The constant pressure of getting good marks in the exam and competing with fifty students can stress any child and hinder his performance in the classroom. He is always expected to stay on the top which can burden him and decrease his productivity. 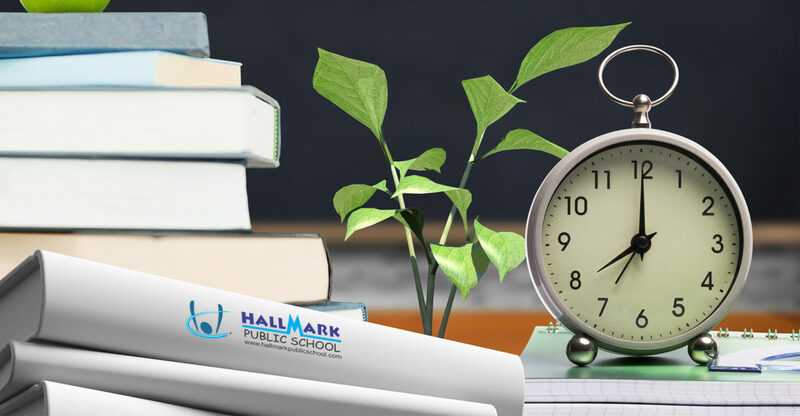 Considered one of the top 10 schools in Chandigarh, the teachers at Hallmark Public School have come up with some tricks that will help children reduce their stress, and increase productivity in school. To perform well in the classroom and otherwise, you need to be a pro when it comes to time management. The time you spend with your friends, the time you utilize to study, and the time in which you rest should be scheduled. It will help you manage various responsibilities in the future as well. If you have ten tabs open in your computer, its performance will slow down. That’s what happens when you are unorganized. Whether it is the area where you study or your mind, both should be clutter free. Make sure you keep everything organized. Some students are okay with studying in noise while others learn better in silence. It is crucial to decipher your needs and make a plan that helps you concentrate. To perform well in school, you need to get enough rest. Get at least 8 to 9 hours of sleep. You will wake up refreshed, and your concentration level will also increase. You are what you eat! If you are consuming junk, it is likely to affect your productivity. Not only it will decrease your immunity but will also influence your mood. Make sure you eat refreshing seasonal fruits and vegetables and drink plenty of water. Having a balance between your mind and body is very important. Take out at least 30 minutes from your schedule to jog or exercise. Ranking number one on the list of best CBSE school in Panchkula, at Hallmark Public School, we help our students get productive with the undivided support of our faculty.